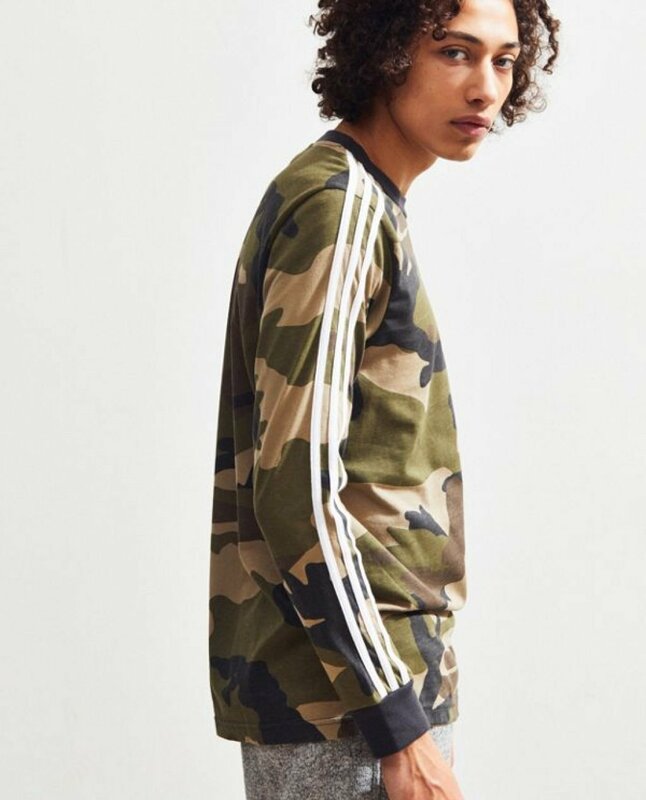 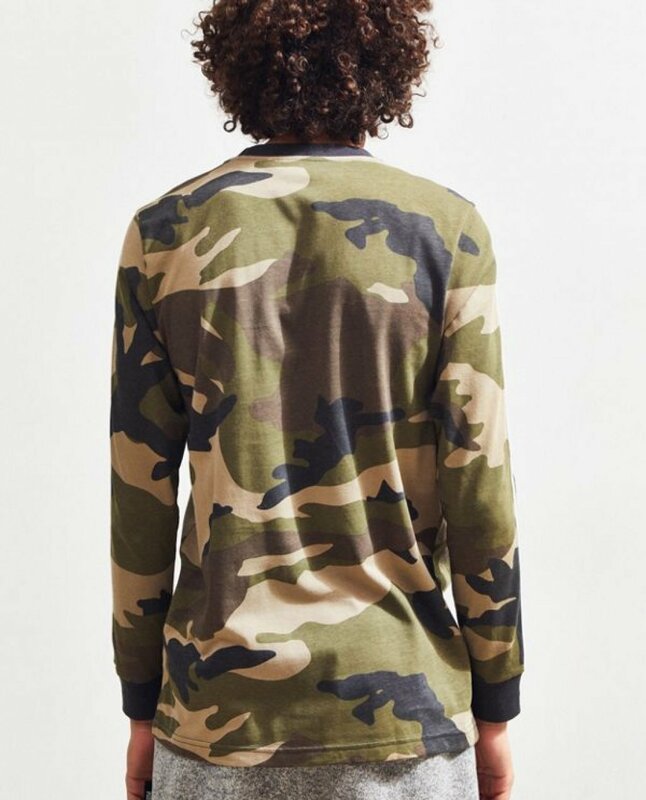 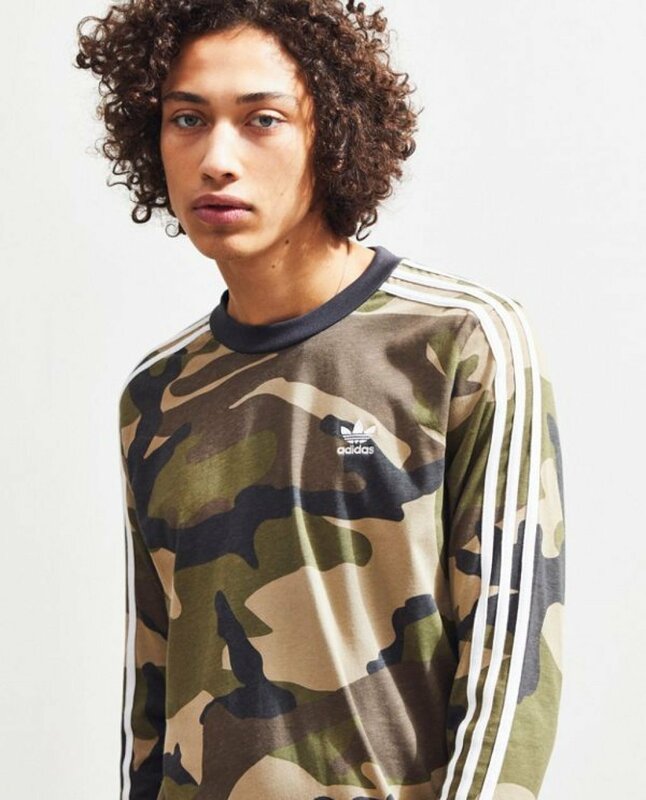 Camo long sleeve with iconic adidas trefoil at chest. Topped with 3-stripe detailing down both sleeves and contrast ribbing at cuffs + crew-neck. 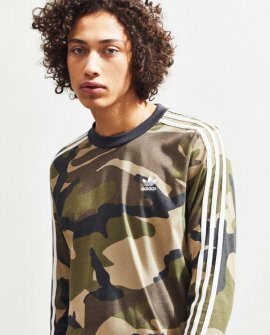 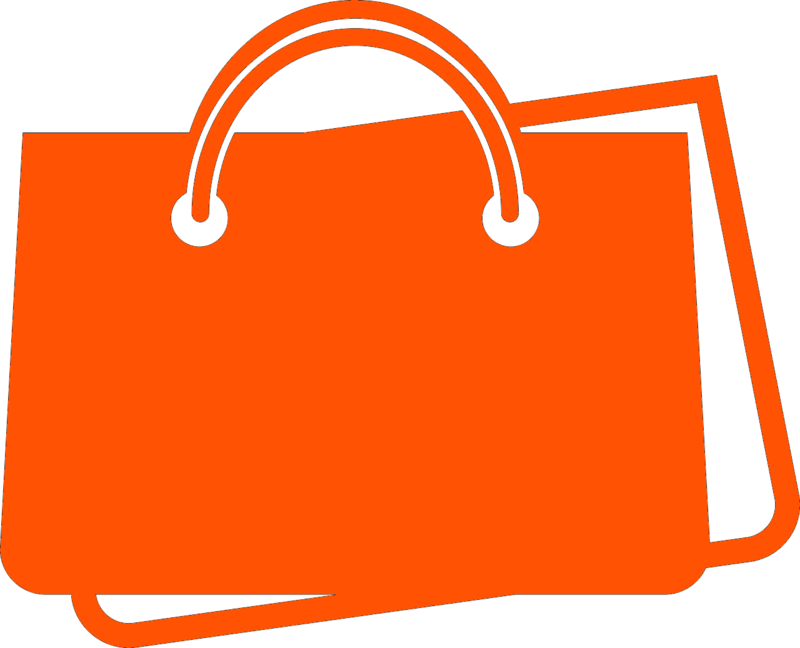 Those iconic three stripes and trefoil logo have topped adidas sneakers, tees, hoodies + so much more for over 60 years.